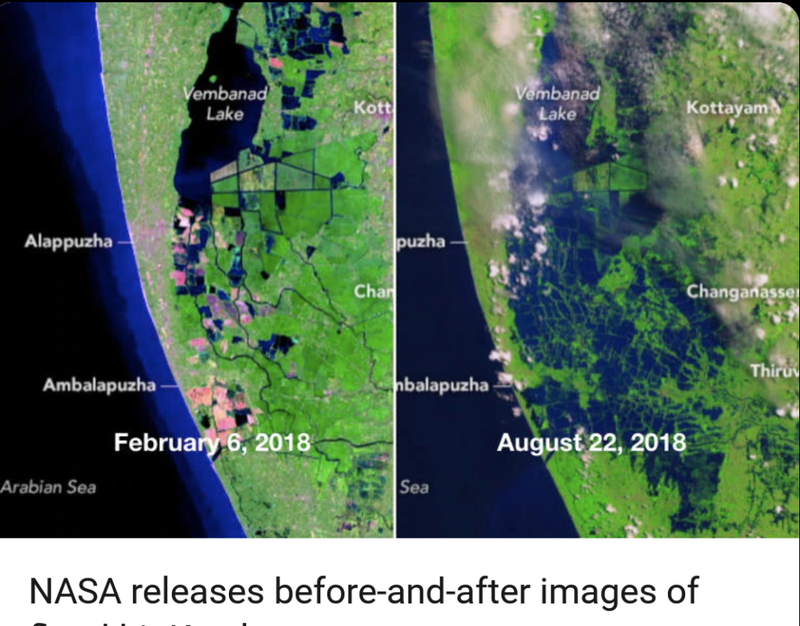 A picture from NASA of the Vembanad lake before and after the floods left me speechless! I could only imagine the vast devastation that must have taken place on the ground. A quick message to all my Keralite friends gave me a bitter- sweet story. Thankfully all they knew were safe, but there was a lot of devastation in terms of property and infrastructure. Everyone is stepping up and helping in their own way towards relief operations in Kerala. I know most of you know about the big campaigns happening around the country, but there are a lot of simple ways through which each one of us can contribute and help Kerala get back on its feet faster. Cash, cheques and drafts worth Rs.20 crore paid to the relief fund. India is making the most of Digital India and ensuring that help reaches fast and through the right mediums. A friend had casually commented that now people will ask money in the name of Kerala and then fund their own wants. Thankfully with such transparent processes that will be curtailed to a large extent. Lakhs of people are getting behind Kerala and we can definitely do our bit. Think about it! No amount of contribution is small or negligible amount. Drops of water make an ocean and an ocean of support is what we need today! Every city and town in India is doing their bit to offer relief material to Kerala. I checked out a few contacts and understood that every Kerala Samaj in Pune is involved in some relief operation or the other. Tahan is a website which is listing all the collection centres in Pune. In this need of the hour, let’s get behind Kerala and ensure that God’s Own Country gets all the support it needs.